May you shine bright and skin radiates, well that must be the wish of everyone to have a bright and radiant looking skin. Now I have a solution for instant lift up or tone up solution by Garnier. Introducing this new Garnier - Bright Up Tone Up cream. Following up with the trend in Korea tone up cream has been a thing as people there prefer to have fair radiant looking skin thus they'd opt for tone cream to help lighten up their tone. Garnier Bright up cream claims to be able to brighten up your skin instantly up to two levels brighter. Let's hop on to this post for my deeper insight regarding this product. Btw I'll be having a GIVEAWAY so make sure to read till the end to enter. Formulated with the latest technology Garnier Light Complete is inspired by the Korean trend containing of 10x vitamin C, yogurt extract and UV filters it helps to instantly brighten up your skin tone. 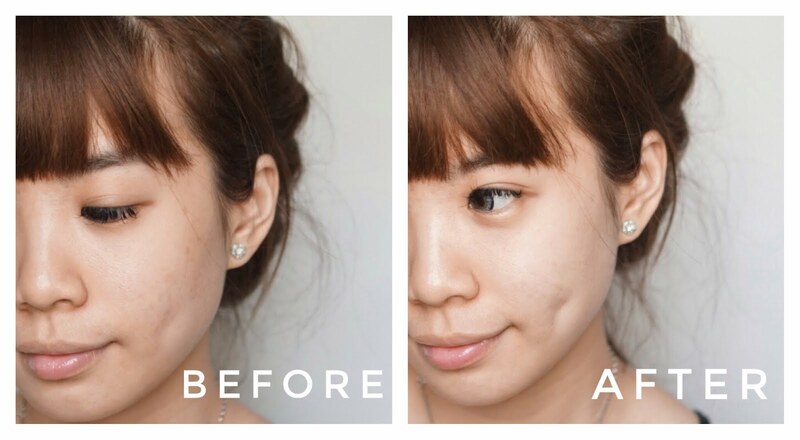 Actually I don't really savvy the Korean tone up cream trend because I do have a fair skin in addition to tone up cream my skin would look extra fair that I feel I look too pale but for Korean most of them prefer very fair looking skin that's why they'd apply tone up cream as their base before foundation or cushion. I received this PR package containing two box of the Garnier Bright Up Tone Up cream products and a mini phone ringlight. First of thank you Garnier Indonesia for sending me their new product so I can give it a try and see how effective does their instant tone up cream work. The product comes in a plastic container what is squeezable. Each product contain 15 ml of product, dominated in the color broken white which emphasizes their motto to make our skin look naturally brighter instantly. Use every morning as a day cream, evenly spread and massage the product onto your clean face and neck. You can find the whole product detail and direction of use at the back of the packaging. It's best to use 12 months after you've opened the packaging. I would usually use a tiny amount and gently massaging it evenly on my face and neck area because a little goes a long way. This new Garnier Light complete bright up tone up cream indeed does what it claims to do which is to brighten up our skin tone. However I'm usually not a fan of tone up cream but this one do have a subtle finish and the tone up is also looking natural and not too fair thus its great to use it to even out my uneven skin tone and discoloration making it a great base makeup as well because my skin is combination skin and this product has a matte finish which will help to make my makeup last longer with a proper base. Now it's time for the GIVEAWAY I promised earlier, for you guys who are interested to try this Garnier Bright Up Tone Up cream you guys can get it FREE! I have one product to share with you guys the step is very simple, all you need to do is comment why you want to try this tone up cream in the comment section of this post (Kindly include your email for me to contact the lucky winner). Don't forget to share this post to your Facebook too. I'll pick one winner to try this product too.